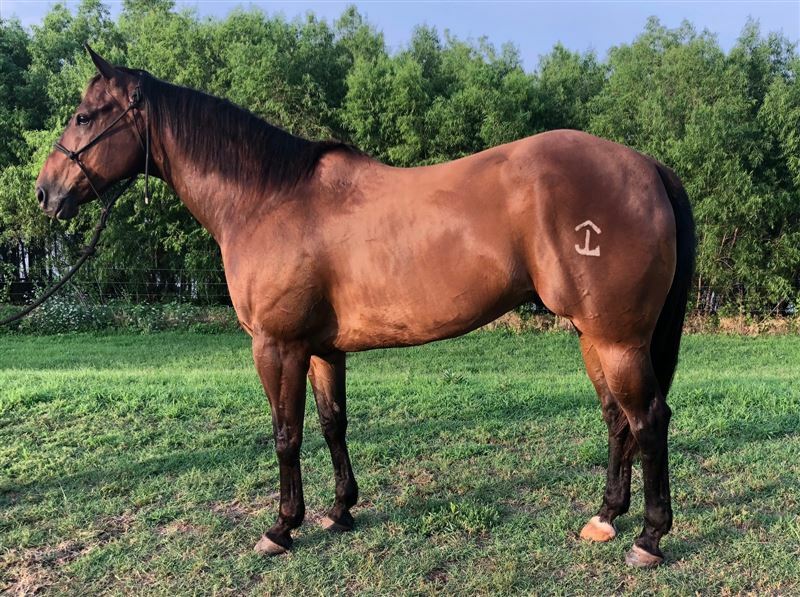 Big pretty 2D gelding by No Mas Corona, out of Shebe Firin For Cash. Shebe Firin For Cash helped Kassie Mowry qualify for the NFR in 2005. Corona's owner is in college and doesn't have time for him. He is easy to be around, gets along with other horses and will stand tied all day. He is a dream to haul. His only quirk is that he can get fresh if not ridden consistently. But it doesn't take much and he's ready to go- he rides around really light and is a free runner. He is Paid In Full to Future Fortunes. He has not been entered recently but is legged up, tuned up and ready to go. *MAINTENANCE* he has minimal radiographic change in his navicular bone in both front feet as well as mild arthritis in his hind pasterns. He is SOUND but his price reflects this. He has been injected, and I have current radiographs.